The Internal Revenue Service might have a reputation for being stern and unforgiving, but it really does try to make tax time as easy and painless as possible. The IRS has historically offered a few types of personal tax returns to streamline the filing process. Form 1040A is one of them. 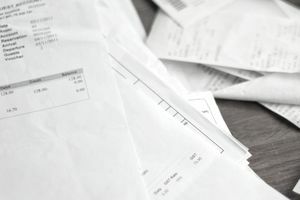 The theory is that if you can qualify to file a simpler return, it reduces the odds that you'll make a mistake that can snarl up the tax filing process. A snarled process can delay your refund and take IRS personnel away from other tasks as you try to get the errors straightened out. It's a lose-lose for everyone involved. All this is about to change, however. Beginning with the 2019 tax season—when you'll be preparing and filing your 2018 tax return—the IRS will roll out a brand new Form 1040 to replace the old 1040, the 1040EZ...and Form 1040A. You'll be obligated to use this new, improved form going forward. The good news is that the new 1040 is very simplified compared to the old 1040. You might not notice much of a difference if your tax situation is simple enough that you qualified to file a 1040A in previous years. But those with more complex tax situations will probably find that they must attach numerous schedules to the new "streamlined" Form 1040. Until then, however, you can still use Form 1040A if your tax situation falls within certain perimeters. Also called the "short form," Form 1040A is a two-page tax return designed to cover the most common types of income, deductions, and tax credits. Do You Qualify to File Form 1040A? People with taxable incomes of less than $100,000 can typically file Form 1040A as long as they don't want to claim an alternative minimum tax (AMT) adjustment on stock gained from exercising an incentive stock option. They also have to forego itemizing and claim the standard deduction instead. But a few things won't disqualify you from filing this tax return. If you receive dependent care benefits, that's fine. Likewise, you can still use Form 1040A if you received an advance premium tax credit—the credit that helps qualified taxpayers pay for health insurance premiums purchased through the Health Insurance Marketplace. It's also OK if you owe the AMT or taxes for the recapture of an education-related tax credit. The primary benefit of using Form 1040A is that it's much faster and easier to prepare by hand than the longer 1040, but it covers more deductions and tax credits than the 1040EZ, the other simplified return option. For example, you can deduct IRA contributions and student loan interest on the 1040A, but you can't take them on the 1040EZ. If you're preparing your tax return by hand and your finances are pretty straightforward, you might want to start with Form 1040A. Taxpayers who use tax software to prepare their returns usually don't have to worry about which tax form to use. The software will automatically select the form that's most appropriate based on your income and deductions. Another nice benefit of the 1040A is that it can help parents of college-bound students or students already attending college with eligibility for the FAFSA simplified needs test. Using this test can help their college students obtain larger financial aid packages simply because they're eligible to file Form 1040A. Students will qualify for the simplified needs test if their parents have an adjusted gross income (AGI) of less than $50,000 and every family member was eligible to file Form 1040A or 1040EZ or if they were not required to file a federal tax return at all. The simplified needs test determines a student's eligibility for financial aid without considering the value of a family's assets, so being eligible can make it more likely that a student will receive additional aid. Because the 1040A is shorter than 1040, only certain types of income, deductions, and credits can be reported and claimed. Types of income that can be reported on Form 1040A include wages, interest and dividends, capital gain distributions, taxable grants and scholarships, and pensions, annuities, and IRA distributions. You can also report unemployment compensation, Social Security and railroad retirement benefits, and Alaska Permanent Fund dividends. If you have any other types of income such as business income reported on Schedule C or capital gains reported on Schedule D, you're stuck with using the Form 1040 long form. There is an easier Schedule C available, however—Schedule C-EZ. You can use this easier form if you don't have business expenses greater than $5,000 for the year, have no employees or inventory, and you're not depreciating the cost of your home. Deductions that can be claimed on Form 1040A include the classroom expenses deduction, the deduction for Individual Retirement Account contributions, the student loan interest deduction, and the college tuition and fees deduction. These are all "above the line" adjustments to income so you can take them regardless of whether you itemize or claim the standard deduction. You're limited to the long form 1040 if you want to itemize your other deductions, but taking the standard deduction is often more beneficial for most taxpayers anyway. Tax credits that can be claimed on Form 1040A include the Child Tax Credit and the Additional Child Tax Credit. You can also take the two educational tax credits: the American Opportunity and Lifetime Learning credits. You can claim the Earned Income Credit, the Credit for Child and Dependent Care Expenses, the Credit for the Elderly and Disabled, and the tax credit for retirement savings contributions. Although the 1040A is easier to complete than the long form, you might still need some forms and reference materials. Here are some direct links to various forms, instructions and other resources the IRS makes available on its website.